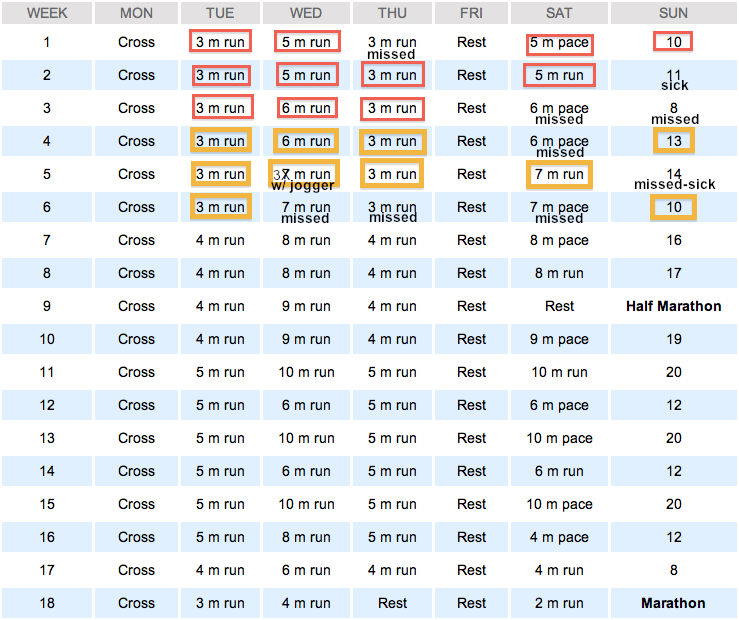 A few weeks ago I decided to switch over from my 3x/week running plan to a more intense 5 day running plan, Hal Higdon’s Intermediate 2. The first week went fantastic! I only missed one short run and was able to stay on track for my other longer runs. I was also killing those runs! My 10 miler was a new PR and my shorter runs were getting more speedy. 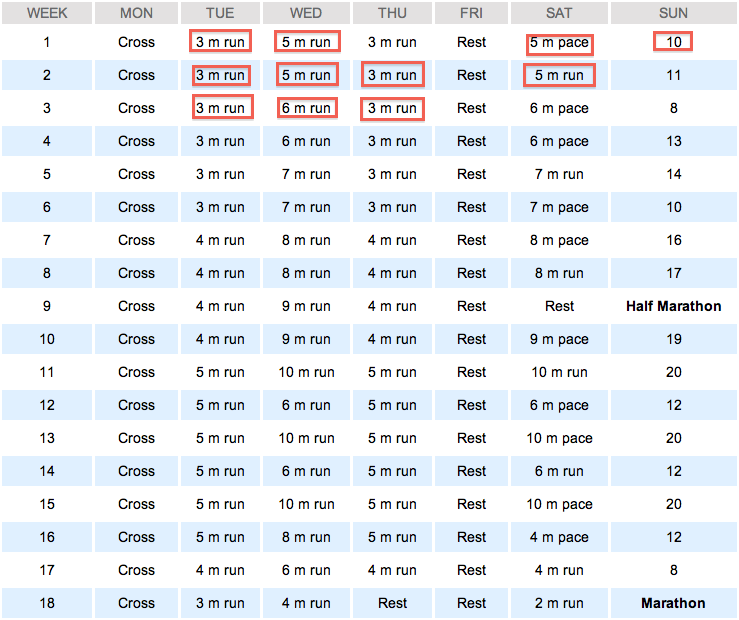 Sadly, week 2 is when I began to slack. It was mainly because I was completely and utterly wiped out. We shot a double wedding that weekend and after two 12 hour days of shooting the last thing I wanted to do on my first day off was go out and run 11 miles. Let’s not forget to mention that I could also feel myself getting sick. I know my body and know that I made a wise choice in staying in that day. My cold was very mild and passed quickly and I was able to get back on track in week 3, BUT I still missed two of the longer runs. We were out of town that weekend shooting in Buffalo and I wasn’t about to get up early and run 6 miles in an unfamiliar city. The following day I was far too exhausted from the 12 hour day of shooting so I decided to skip yet another long run. I know this is bad. They say to never skip a long run. They say that if you’re going to miss any runs try to make it those short ones. But, we’re still fairly early on in the training and I think I will be okay. You see, I always have the Intermediate 1 plan to fall back on. When I look at that schedule and think about my current fitness level I know that I am well ahead of the curve. 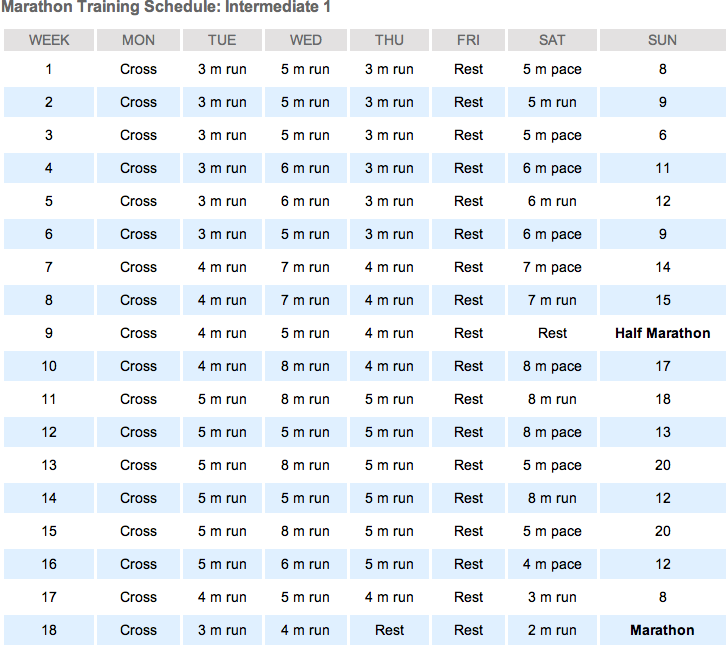 I only opted for the higher schedule to begin with because my longest training run from my prior 28 week plan was 9+ miles. I knew that my body was already fully capable of going the 10 mile distance and saw no problem with the increased mileage. So far, the training has been going well. I don’t feel like it’s burning me out and I don’t feel like it’s too much too soon. The only conflict I have had been due to a ridiculously busy schedule and illness. It will get better now that wedding season is dying down and I do plan to work hard to stay on track for week 4. It’s my goal to have a full week of training under me for this coming week. So far, I am doing my best to stay on track and plan to do the same for the weekend. It’s not always easy finding the time or getting up early, but I know it’s going to be a necessity. I want to push myself harder so that I can PR this next marathon and even hope to run a half at the end of this month (10/19) so I can PR that distance as well. I can feel both my mind and body getting stronger and know that I can accomplish anything I put my mind to. How are your training plans going? Have you ever change things up during training? What plan are you following?